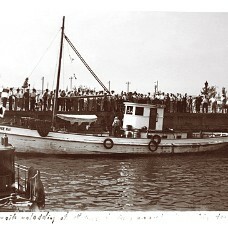 Captain 'Jackie' Michaels' "AMERICA" is shown returning to Pier 4 at Sheepshead Bay, Brooklyn, NY circa 1938. 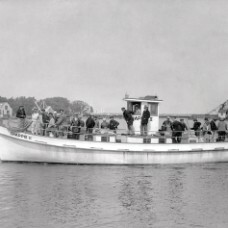 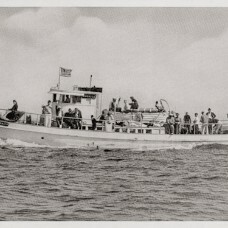 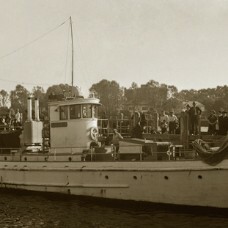 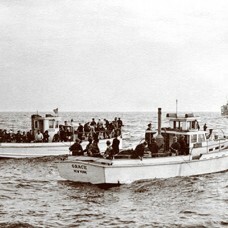 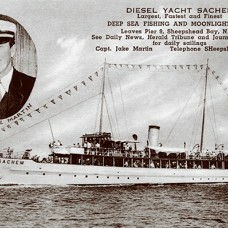 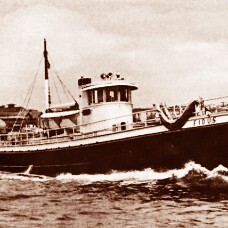 The "AMERICA" was built in 1914 at Brooklyn, New York and she sailed from Sheepshead Bay under the command of Captain Michaels until a larger vessel replaced her in 1948. 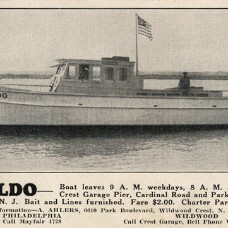 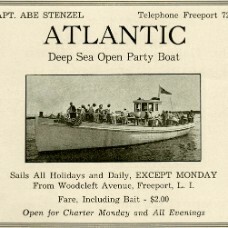 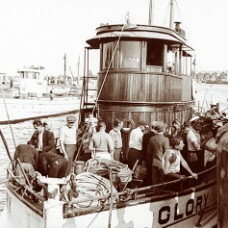 She was then sold to Captain Pete Saro Sr. who relocated the boat to Belmar, New Jersey as his "SPRAY II". 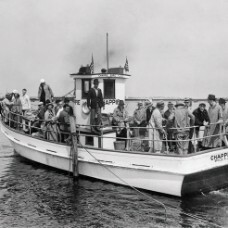 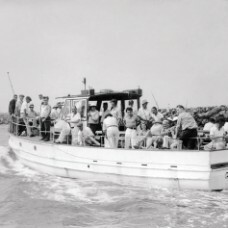 In 1961, she was purchased by Captain “Freddie” Kern who continued to sail her from Belmar, New Jersey until he sold her in1968. 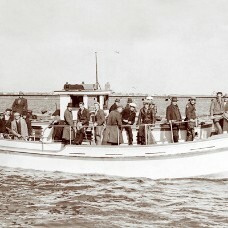 The boat was then relocated to Plymouth, Massachusetts. 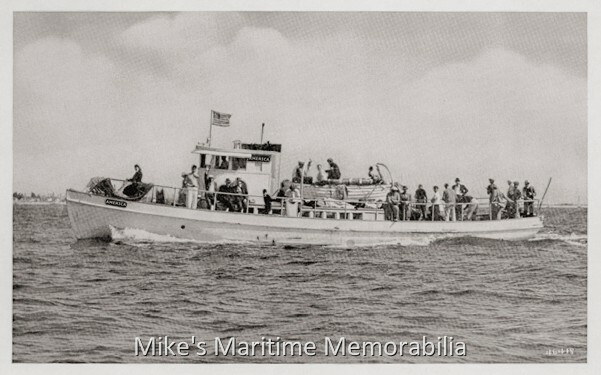 Removed from documentation in 1979 for undisclosed reasons, her present fate is unknown.